Is your programme allowing adjustment for each fader, in something like a table or matrix, or is it a fixed value translating both way all pitch bend info ? 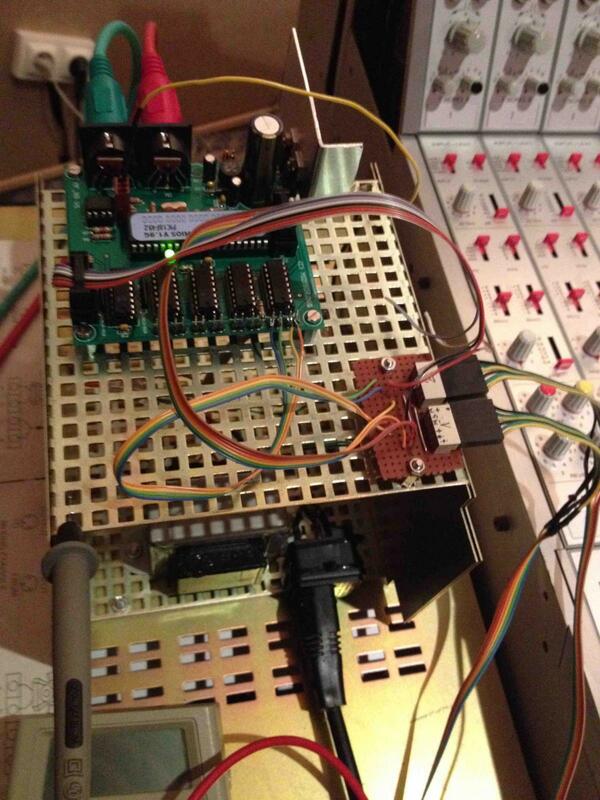 I just got an alternative idea - we could hard-code the tables into the MIDIbox NG application. In this case it will be programmed into flash memory. Which means that individual tables for all faders are feasible. I guess that you wouldn't change a difference compared to 14bit anyhow, because the PIC ADCs convert at 10bit resolution. I have to admit I'm little lost with this, but in the mean time I think I understand what you say. When you say flash memory you mean the SD card with core system (for the moment I only run MF board standalone), or some memory available in the PIC I have now? So your option is a fixed table, but previously set for each fader log characteristic according to measurement i made like previously in this topic, right? So each time i want to recalibrate the fader (saying with time the resistive track characteristic change) I have to do measurement again, and compile new table for each fader? How it will be complicated to add a new function in the MF tool (like a new tag or window) with a matrix or table where you can set the value for 12 point (0-5-10-15-20-25-30-40-50-60-70-inf). The table have only to be adjusted at one side. The fader position pitchbend value in the DAW will never change, except if different DAW have different log curve for the fader? second prototype have button and led, but it's just for mechanical test. Ah, you are using the MBHP_MF_NG module standalone (without a MIOS32 based module where MIDIbox NG could run) - in this case forget my idea. Microcontrollers typically have an embedded flash memory. For a LPC17 or STM32F4 enough flash would be available, for the PIC we've two problems: it's much more time consuming to add code there (especially since the firmware is implemented in assembly language), and there is much less flash memory. Not enough for individual tables for all faders. The SD Card approach would only work, if a table could be loaded into RAM, but as mentioned earlier, neither a PIC, nor a typical MIOS32 compatible microcontroller (which you are not using anyhow...) would have enough for your intentions. This would require an interpolation routine which consumes too much CPU time on a PIC, especially when multiple faders have to be handled in parallel. In order to overcome the execution speed limitation, somebody would typically precalculate tables based on these "points" and store it in RAM... if enough would be available. Ok, if somebody would spend some hours or (depending on his programming skills) days on this topic, he could be able to achieve this regardless of the hardware limitations. In other words: I'm not trying to find a perfect solution, just something which consumes as less as possible effort at my side. No I don't forget your idea :smile: at the end I need button and led so I need a core system. The 0, -5 , -10 etc... have direct and linear correlation with DAW fader pitch bend value at one side, but maybe you talk about "interpolation" between this points at the other side? which is not linear but like one of the graph I post before? All this is just to have an efficient grouping fader possibility that track well at the analogue side...maybe i'm too ambitious :sad: and don't have the skill to build (program) what I want. Or the system can't handle this in any way? is that you saying? I still have problem regarding noise. Now I connect each 0v servo to individual module enclosure, it's better for motor noise in audio, but I wish It could be even better. Grounding and ref voltage is not easy when interfacing digital device in a large analogue desk, I have to try different grounding. Other one, way louder and problematic, is noise produced by touch sensor. When I touch the caps it become quieter, and close to silent if I touch my console frame at the same time. If I set sensor sensitivity to 1 (minimum) noise disappear, but fader is not usable at this setting. I don't record frequency yet, but sound like fraction of the digital clock. What kind of signal is use for touchsensor? just DC? do you think I can filter this with some LPF to avoid HF leaking here? regrading fader move i'm not 100% happy with settings I try, I like the fader fast when I read a square automation. But I can't in the mean time stop the fader knob to have crazy shake when reading a slow sin wave automation. These are good news indeed! It means that the two 10bit based calibration tables could be stored into the embedded flash memory of the PIC, so that no additional SW or HW is required. What kind of signal is use for touchsensor? just DC? do you think I can filter this with some LPF to avoid HF leaking here? I was able to solve that shivering with grounding the shell of my fader and the Frontpanel properly. Thorsten, what you could provide sound good to me, i think it deserve a try. I need time to be efficient at this task (learning the tools), but solving this problem and find the good solution could really open a new world for all ple like me using old desk, I already have two friend/studer x89 owner folowing my modification. I will look closer and download the tools. I keep you informed about this. I have a look at my noise frequency, it's 1K (and harmonics 2k 4K etc...) so it's the 1ms trigger for sure. I put a 100n across 5V and 0v at the J2 (like in MF V1) but without success, I will try your suggestion. I'm just thinking about another strange thing I don't understand. When I hit slash and backslash button in MF Tool my two fader don't go to the same position. 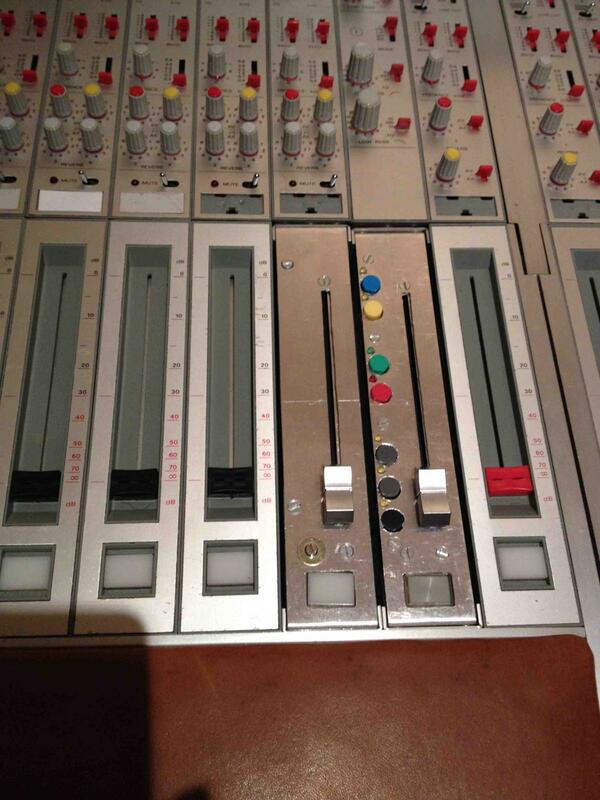 I swap the fader at J2 and it don't folow, but stay at the same PIC output??? I will try this. On my side the fader and front panel are well screwed, but at this location of the desk the electonic inside the fader module could be considered as floating, no contact to the frame. I have to manage this. Today I reduce the voltage and find some compromise with new duty setup, also change the deadband. I'm still having trouble to reduce noise. And the signal is electronically floating. I attach 2 pict, second wave form is when sensor of fader 1,2,3 and 5 are touched. so I have a problem somewhere!?! Is it possible to add a resistive load in series with the motor? Did you alredy tried to connect the shell of all Faders together to GND? Where did you insert that Cap? Between +/- of the motor connections? I have to try this on my deaigns too! yes between +/- but 50 cm from the motor pin at the other side of the two wire in my connection board. 1000uF polarized, not sure it's good with the time as it take reverse voltage in one fader move direction, better use 2 pces with negative pin together to make a big non polarized caps. It really improve the mechanical/acoustic noise of the PWM/motor noise, but target shoot seem less accurate. Let me know your report if you test this. I'm at a corner regrading my project, i feel your interface system really good, all the software side is so friendly with HUI/MCU. But in the mean time i'm not happy with the motor systeme, PWM is good for DAW remote only, but not for fader passing real audio. I try to find a solution to convert the PWM into a nice variable analog DC signal, inserting big caps is the first step. Maybe I can try 10 ohm (with 1000uF for 15hZ cutoff), it's "just" twice the motor coil ? As I have only two fader for my proto, result is not behind your eyes, this functions just visually show / , \ , and moving wave with 8 fader right ? Did you try the capacitor? that's exactly what I say previously, reverse voltage half the time, not good at all for definitive choices and long time use. But it's a good start point test. 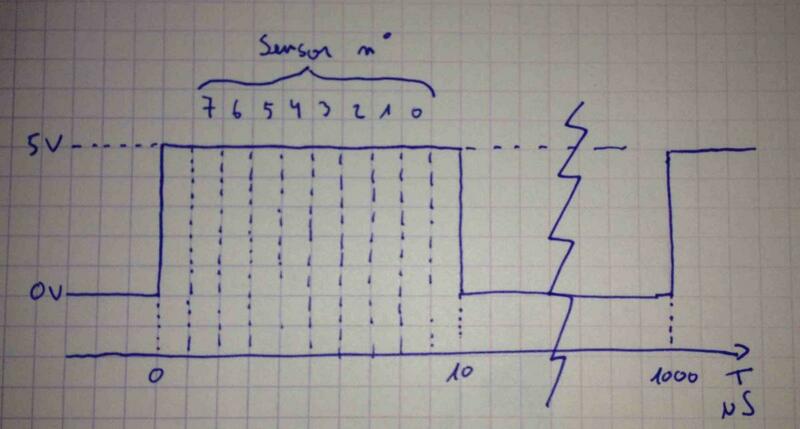 The best result I have is with 1000u (25v by memory) so to achieve the same with safety operation regarding reverse voltage you have to use 2x 2200u (10v is enough) in series with negative pin hooked together, so you have a 1100uF non-polarized capacitor. I'm not at the studio, but will try a snubber RC filter soon. I just don't know if I can add a resistive load at the pic output, do you have an idea about this?